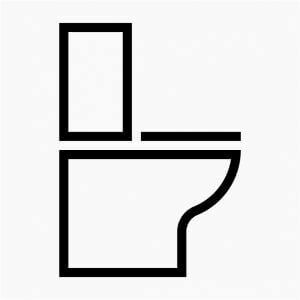 Whether you’re in the middle of a bathroom renovation or your old toilet simply needs to be replaced, there are so many toilet options available. From various flushing capabilities and designs, to several types and functions, selecting a toilet can be overwhelming. Understanding the differences between the different types of toilets will help picking the right type of toilet for your home easier. The two-piece toilet is the most common type of toilet and consists of two parts: the tank and the bowl. During installation the two pieces are attached together. Since two-piece toilets are so popular and are mass produced, the overall cost is lower, and repairs are typically inexpensive. Although a bit more expansive compared to two-piece toilets, one-piece toilets are extremely durable easy to clean, and simple to install. One-piece toilets utilize the same amount of water and have the same type of flush as a two-piece toilet, making the decision to install one typically is left to the look of the toilet itself. They’re also ideal for small bathrooms because they sit lower to the ground and don’t take up as much space as the traditional two-piece toilet. Featuring a modern design, wall-hung toilets are as you would expect, mounted on the wall with the tank installed on the inside of the wall, hidden from sight. These types of toilets take up less space and can be installed anywhere in the bathroom as long as they are close to a water source, making them extremely versatile. With their superior design and extreme versatileness, wall-hung toilets do come with a higher price tag. They also tend to require more repairs and with the hidden tank, require an experienced plumber, which can get expensive. Smart toilets have come a long way in the past couple of years. With several intelligent upgrades including automated flushers, heated seats, dual-flush systems, and more, smart toilets are becoming increasingly popular among commercial properties thanks to their increase in efficiency and sanitation. Need your toilets replaced in your home or business? Give Plumbing 911 a call today at (330) 952-1900 or (216) 246-0566 to learn more about your options and to schedule your appointment!